This work was formerly attributed to the so-called Master WB, an artist studied by Buchner. It was not until 1985 that Fedja Anzelewsky associated it with an engraving bearing the initials WB and an entwined serpent, identifying the artist as Wolfgang Beurer. 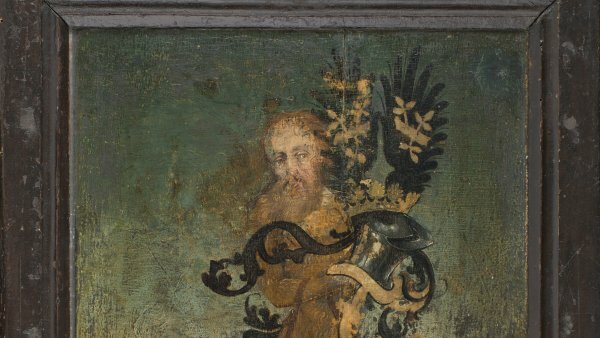 The present panel has been fundamental in establishing the artist’s chronology due to the presence of the date on the lower edge of the frame. 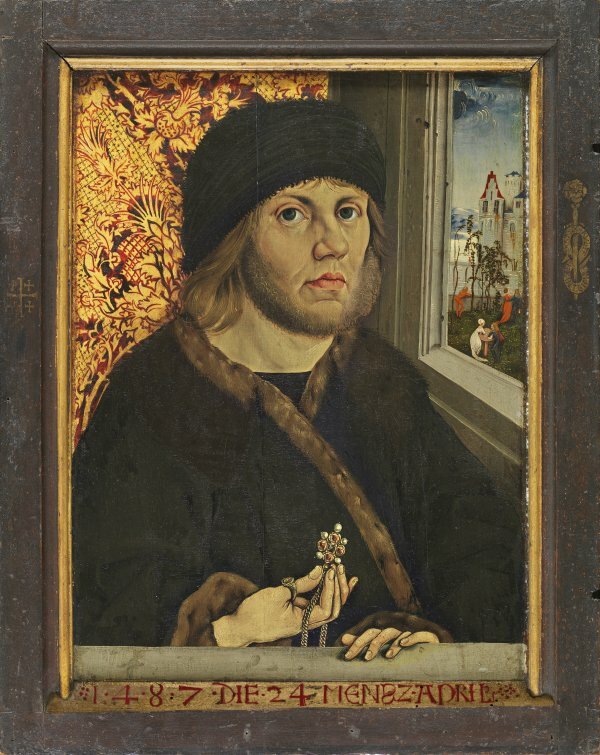 The sitter, who remains unidentified, is located behind a ledge that, together with the window, helps to create a sense of depth in the composition. He wears a ring with a coat-of-arms and the letter “R” and holds an elaborate pendant. This element, together with the scene that is taking place in the landscape, has led to the suggestion that this is a nuptial portrait. 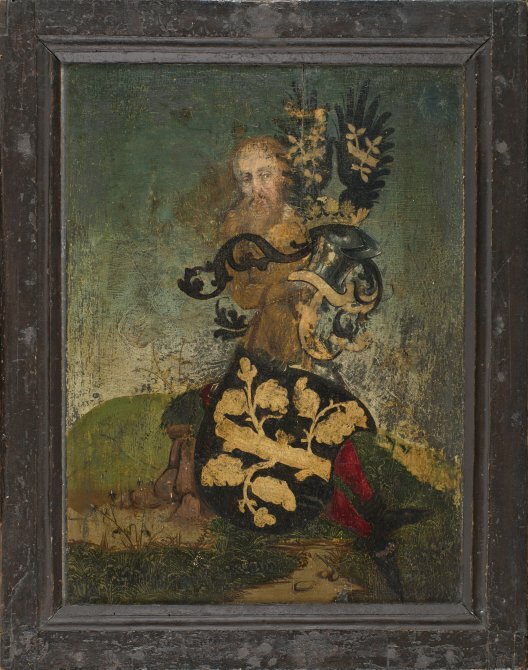 A fantastical figure that has been interpreted as a wild man is depicted on the back of the panel. Beurer defines the sitter’s face with pronounced, precise strokes, which have been related to those of two engraved portraits. The parallels are evident in the expressiveness of all three heads, the way of drawing the large eyes that gaze at the viewer, and the setting. The symbols in the centre of the bars of the frame are related to the trip Von Rückingen made to the Holy Land, as the emblem of the Knights of the Holy Sepulchre appears on the left and that of the Cypriot Order of the Sword on the right.The reverse of the painting has a depiction of a figure whose body, hair and beard has led to its identification as a wild man.